An event took place on November 20, 1979, that most people have either forgotten, or never heard about in the first place. Islam’s most holy place, the Grand Mosque in Mecca, was seized by unknown gunmen. It was Day One of the 15th century on the Islamic calendar, and Al-Juhayman al Oteibi, surrounded by approximately 400 rebels, said he had found the Mehdi—a redeemer. This messiah-like figure, he claimed, was his brother-in-law, Muhammad al-Qatani. Islam would now be purged from corrupting influences—immorality, westernization, theatres and Muslim women participating in sports. 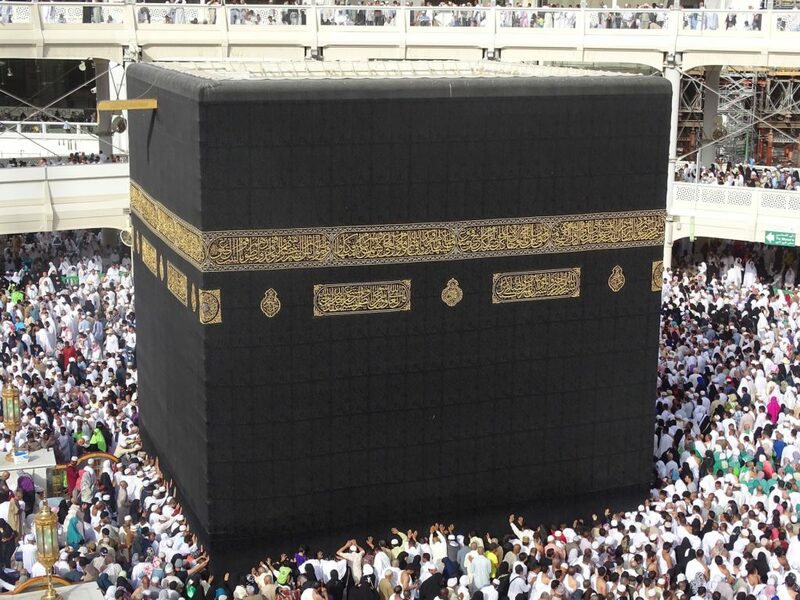 It happened during the annual pilgrimage, as tens of thousands milled around the black-robed Ka’aba. Arms had been secretly smuggled underneath the Ka’aba, mostly in coffins (relatives believe in this way deceased loved ones receive a special blessing before burial). It took two weeks to bring things under control. In the blood bath, hundreds were killed, scores wounded and the insurgents (including the fake Mehdi) quickly beheaded. Communications with the outside world had been cut, but somehow the millenarian leader of Iran, Ayatollah Khomeini, announced (via radio) that it was the work of Americans and Jews. Muslims believed him. The US Embassy in Islamabad was burned to the ground and additional reprisals took place in Libya, Turkey, Bangladesh and the UAE. Our family in Pakistan was attacked too (furniture and equipment smashed, literature destroyed and vehicles set on fire), but our lives were spared by the grace of God. Three days later, it came out that the rebels were mostly from Saudi Arabia. Other things also happened in 1979 that impacted the Muslim world (Khomeini’s return to Iran after years in exile and the Soviet invasion of Afghanistan), but this event particularly seemed to trigger Islamism. In response, the Saudis gave mullahs (clerics) more power, and after that Wahabbi Islam was promoted around the globe. Measures were taken to enforce piety, mosque attendance and veiling of Muslim women. In short, they decided the solution to religious extremism was more religion. When Osama bin Laden turned against his own country and denounced the West, he basically repeated what al-Juhayman had said. Railing against American troops on Saudi soil, westernization and immorality, he demanded that oil exports to the West be stopped. Arguably this—more than Iraq or Afghanistan—started the clock ticking towards 9-11, and went on to include terrorist attacks in London, Madrid, Paris and beyond. Given the emphasis in Shi’ite Islam on the coming Mehdi* and his close association with Jesus, Christians have wondered if this person could be the Antichrist, spoken of in I John 2:18 and the “Beast” of Revelation 13. In other cases, it has been assumed the Anti-Christ would be a Muslim. From 9/11 to 666: The Convergence of Current Events, Biblical Prophecy and the Vision of Islam, by Ralph Stice, is very clear. The preface says the author turned to his wife on 9/11 and said, “We should have warned them.” His goal in the book is to “Prepare the church for the fulfillment of these awful prophecies.” He even sets dates for the Beast’s appearance, describing in dramatic detail what life will be like in the US under the tyranny of Islam—13 years from when it was published in 2005! Of course, anything is possible, but the truth is we don’t really know, and such dogmatic predictions damage Muslim-Christian relations, as some Christ-followers believe them. We are on much safer ground to remember that Jesus is a major player in Islamic eschatology, and to use this as a bridge in Christian witness. I remember hearing about a Pakistani villager who said to one of my fellow workers: “There are 3 reasons why your prophet is greater than our prophet: Muhammad became a prophet at age 40; yours was a prophet from birth. Your prophet did miracles; ours did none. Your prophet is alive; ours is dead and his tomb is in Medina.” I also recall hearing of certain Pakistani Muslim students taking Bible correspondence courses, who found hope in Jesus as intercessor. From the traditions they learned that Muhammad said he could do nothing to save his relatives from the wrath of Allah–aunt, uncle, and other members–so how in heaven’s name, said the students, can he save us? Although 1979 may have triggered Islamic extremism, it seems also to have been a catalyst for Muslims turning to Christ. God uses suffering and adverse circumstances to draw people to himself. Thirty-seven years ago, after forgiving our attackers, we continued on in mission work, and after that saw more fruit. In the current climate of great upheaval and trauma among Muslims we can expect a much greater response to the Gospel in years to come. *Mr. Ahmadinejad, former President of Iran, felt he could bring back the long-lost imam, whom Shi’ites believe to be the Mehdi, and so precipitate the apocalypse. This article was originally posted at the Zwemer Center for Muslim Studies blog by Dr. Warren Larson.